North-east councillors have awarded a Blue Toon community group over £200,000 to refurbish a disused sports facility in the town. 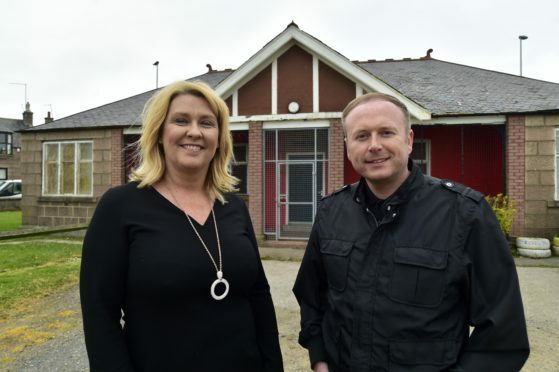 The Peterhead Area Community Trust (PACT) plans to spend the cash on the revitilisation of Victoria Road Park and the refurbishment of the Barclay Park pavilion. PACT is a group of five local individuals striving to improve community facilities in Peterhead. Members of the Buchan area committee unanimously supported the developer obligation funding and awarded the group £219,488. Chairman Norman Smith labelled the decision “a good news story”. Central Buchan councillor Anne Simpson said: “This funding will indeed allow PACT to make a positive impact in the community. PACT phase one plans to transform the pavilion into a modern facility for community groups to use which is fully accessible to all and includes a community space equipped with a kitchen and changing facilities. This will facilitate the full operation of the Barclay Park sports pitches. Building warrants and tenders for the work will go out shortly. Phase two will see the disused Victoria bowling green and tennis courts revitalised. Chairwoman of the group Dianne Beagrie, who sat out on the decision along with fellow councillor and PACT member Alan Fakley, expressed her joy at the decision last night. She said: “This is an exciting step for the group, we have been working on this for months and I am delighted that we now have the funds to start our project. “Once the refurbishment is completed we plan to have an opening event and encourage interested group to come along and see the facility.